On show for the first time at Seawork, the 13m ROV1304 with SPEED-type fast displacement hull is leading commercial power catamaran manufacturer BW SeaCat’s fourth vessel of a well-proven similar construction, designed for deep water operation for the aquaculture industry, power plants, offshore sector and other contractors. The new workboat requires a powerful genset to drive the deck crane and underwater ROV system to be used for applications such as inspection of mooring and cables and work at fish farms. The installation of a compact and reliable watermaker was also essential to supply fresh water for a crew of two people working shifts of up to seven days at a time. 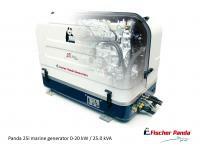 The single-phase Panda 25i (20kW) was selected for the project due to its proven capabilities as an attractive option for commercial workboats mainly due to the variable speed efficient output that is well suited to working vessels that have a varied power demand when in operation. An all-in-one solution that can be easily mounted and operated for the crew, the Seafari Mini 170 is ideal due to its compact and low foot-print design. Chris Fower, Sales and Marketing Director, Fischer Panda UK, said: “The ROV system required a clean stable voltage output to safely and reliably operate the equipment and, due to the electrically controlled pure sinus wave output of the iSeries generator, we were able to deliver on this main priority. The low weight and compact size clearly made the Panda 25i stand out from the competition where space-saving was another main requirement. “The customer chose the Mini watermaker because it takes up so little space and has all components mounted on one chassis for ease of operation. Another benefit is the equipment can all be sourced by one supplier – Fischer Panda UK. 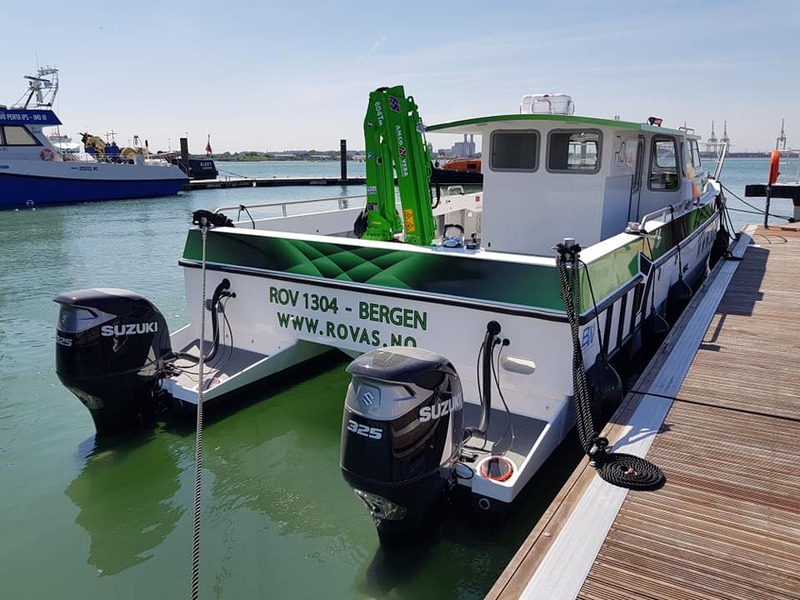 With the results of the first sea trials set to be revealed at Seawork, the ROV1304 has been built by BW SeaCat to maximise efficiency and manoeuvrability and is designed with crew comfort as a priority. The vessel is also particularly notable as it will be the first application of Suzuki Marine’s DF325 outboards, with contra-rotating propellers, in Northern Europe. 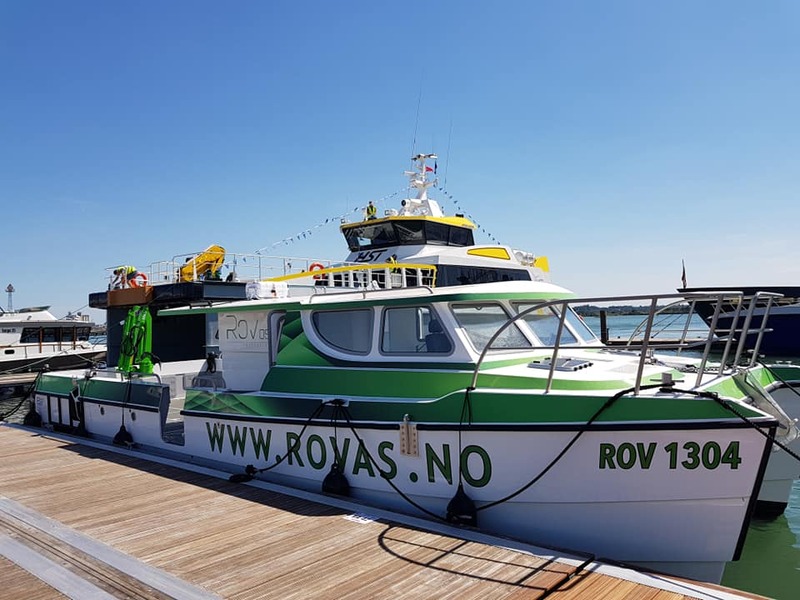 Based in Bergen, Norway, Rov AS has a wide range of inspection vehicles to carry out inspection in air and with ROV down to 1400m depth, usually equipped with multiple cameras. As suppliers of Village Marine watermakers, Dometic air-conditioning systems and hybrid electric propulsion systems, Fischer Panda UK provides the whole product package, servicing and aftercare to commercial customers from its headquarters in Verwood, Dorset.